Figure 7. 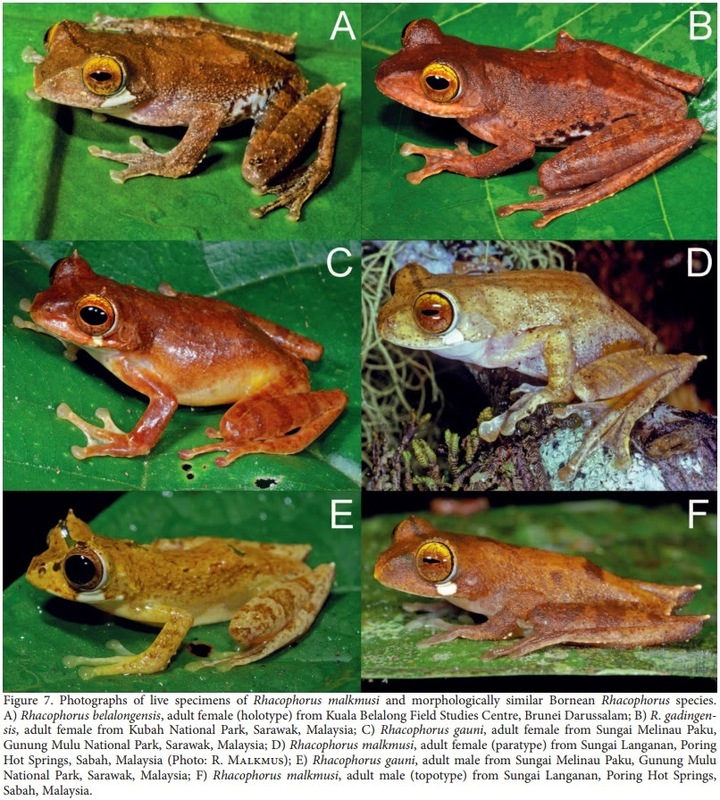 Photographs of live specimens of Rhacophorus malkmusi and morphologically similar Bornean Rhacophorus species. 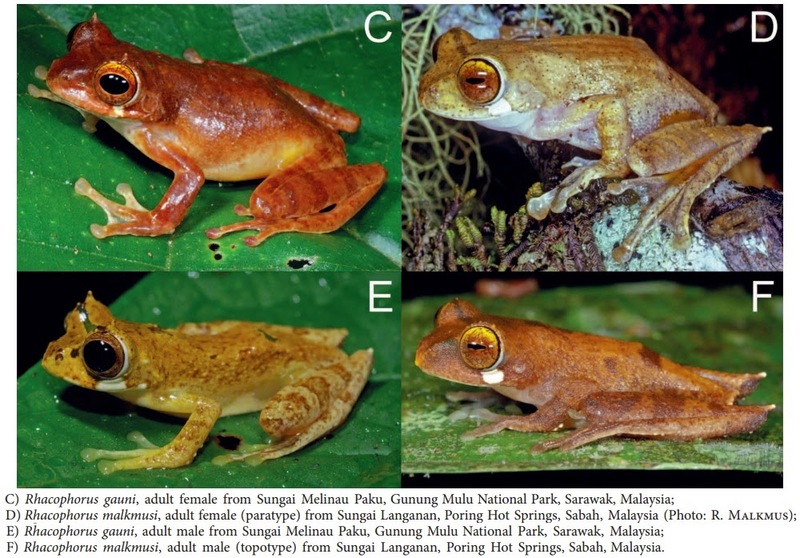 E) Rhacophorus gauni, adult male from Sungai Melinau Paku, Gunung Mulu National Park, Sarawak, Malaysia; F) Rhacophorus malkmusi, adult male (topotype) from Sungai Langanan, Poring Hot Springs, Sabah, Malaysia. 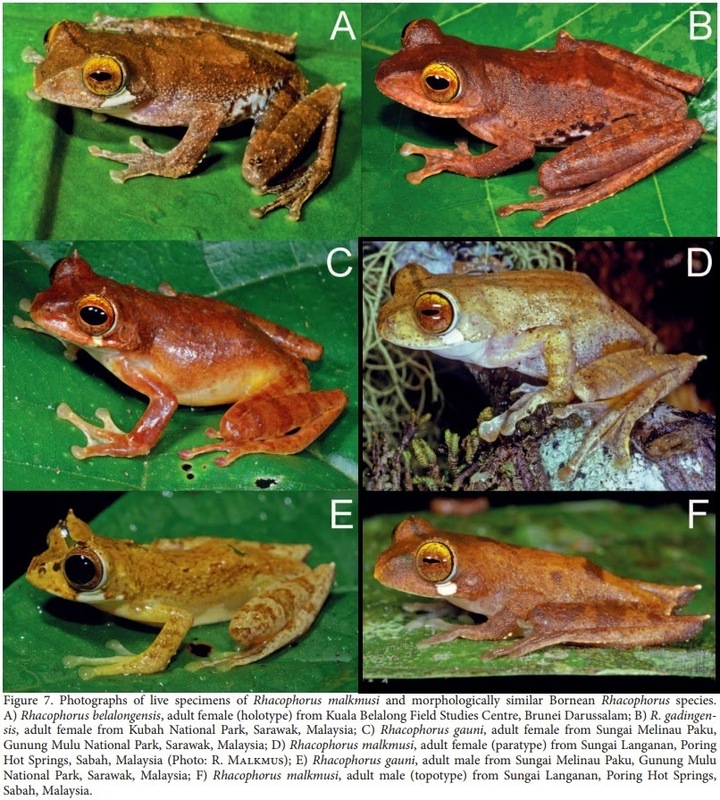 A new species of Rhacophorus from the eastern slope of Gunung Kinabalu (Sabah, North Borneo) is described. It is similar to, and has previously been confused with, R. gauni, but differs from it by length and shape of head, less extensive webbing between fingers and toes, presence of vomerine ridges and teeth, absence of a pointed tubercle on the upper eyelid, relatively larger interorbital width, and a smaller thenar tubercle. Characteristics of the advertisement call and ecological data are provided.